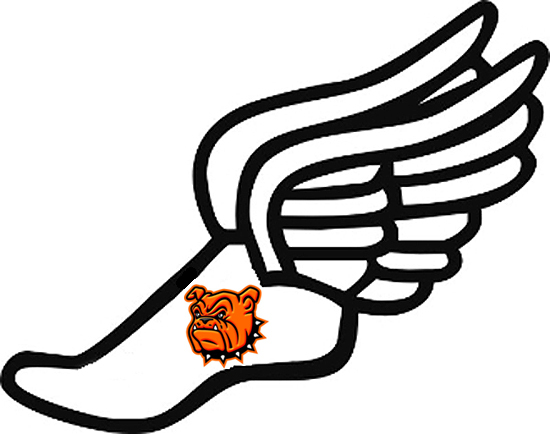 The Bulldog track and field team added six new state qualifications and three season-best re-qualifications to their growing tally Friday at the Wildcat Relays in Lovington, while the Lady Bulldogs were seconds and inches away from their first qualifying efforts. The ‘Dogs placed third overall in a field of seven, 20 points shy of second-place Hobbs and 21 behind Clovis. The Artesia girls were fourth out of seven-and-a-half points in back of third-place Hobbs. Four of the Artesia boys’ six new qualifications came on the track Friday. Chandler Youtsey qualified in the 110-meter hurdles with a second-place time of 15.84, as did Kale Mauritsen in third with a 16.09. Chase Thompson’s re-qualification with a first-place 15.75 made it a clean sweep of the top three positions for the ‘Dogs. The 800-meter relay team of Tyler Greenwood, Mauritsen, Kameron Aguilar and Codey Scott became Artesia’s first relay qualifier this year with a first-place time of 1:32.58, and Thompson punched his ticket in the 300 hurdles, as well with a first-place 41.42. In field events, Alan Cosio made his first competition in the triple jump count with a qualifying leap of 42’11” for second place overall, and Kale Mauritsen joined Denver Williams as a pole vault qualifier with a second-place vault of 12’6”. The Bulldogs also re-qualified a pair with top marks in the shot put, as Marcus Bramwell and Nathaniel Zarazua went one-two with throws of 48’10” and 48’1” respectively. The Lady ‘Dogs came agonizingly close to their inaugural qualifications at the meet, particularly in a trio of performances by freshman Elliot Harrison. Harrison was .11 over the mark in the 100 hurdles with a second-place time of 17.01, 1.25 seconds behind in the 300 hurdles with a second-place 50.35, and two inches off in the high jump with a 4’10” leap that tied her for second. In the girls’ javelin, Paityn Houghtaling also came two inches away with a third-place throw of 107’10”, Camerin Molina was 2.07 seconds behind in the 400-meter dash with a second-place 1:03.57, and Lauren Robson was 4.44 seconds over in the 800 run with a first-place 2:30.24. The ‘Dogs will also likely be further beefing up their state contingent over the next few meets, as the 400-meter relay team was just .08 off the mark Friday with a second-place 44.28; Joe Willingham was .58 over in the 110 hurdles with a seventh-place 16.78; Youtsey was .66 behind in the 300 hurdles with a third-place 42.56; Scott missed in the 200 dash by .68 of a second with a fourth-place time of 23.58; Cosio was off the mark by two inches in the high jump with a fourth-place 5’10”; and Bramwell needed three more feet in the discus with a third-place 130’. The squads will have two weeks to prepare for their next chance, the April 1 Centennial Invitational in Las Cruces.